Watch the video below to see how Nina enters a dungeon only to find things aren’t what they seem. 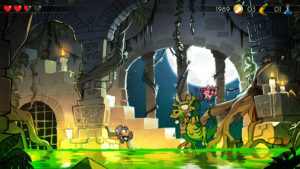 A taxing opening to the platform-adventure that culminates in a boss fight, Nina quickly finds that not all 2D videogames are as easy as they look in the screenshots. 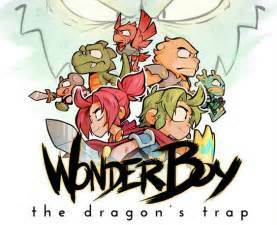 Check out the video below to watch the opening section of Wonder Boy: The Dragon’s Trap on Nintendo Switch, and come back later this week for a full review.